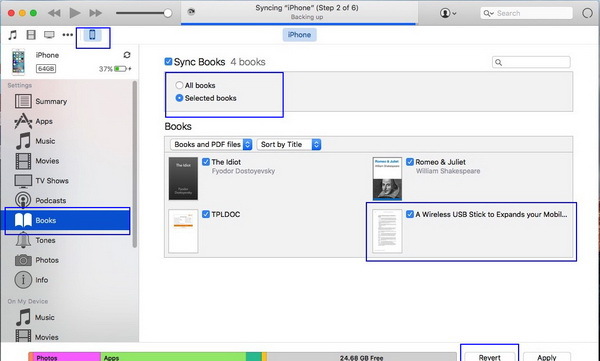 "How to sync iBooks from Mac to iPad? I have several wonderful books on my iMac iBooks and now I need to transfer iBooks from Mac to iPad? I want to read these books on iPad during the train journey." – From Apple Support Communities. iBooks is the reading app aross Apple’s iOS products and computers that enables iOS users and Mac owners to freely read books. People could freely sync iBooks among iOS devices and Mac computers for unlimited reading experience. If you want to know how to sync iBooks from Mac to iPad, this guide would be where you should stand. It provides 3 different solutions to help you transfer iBooks from Mac to iPad. On your iPad, open "Settings > iBooks" tab. Then turn on "Sync Bookmarks and Notes" and "Sync Collections" options to enable iBooks sync on iPad. 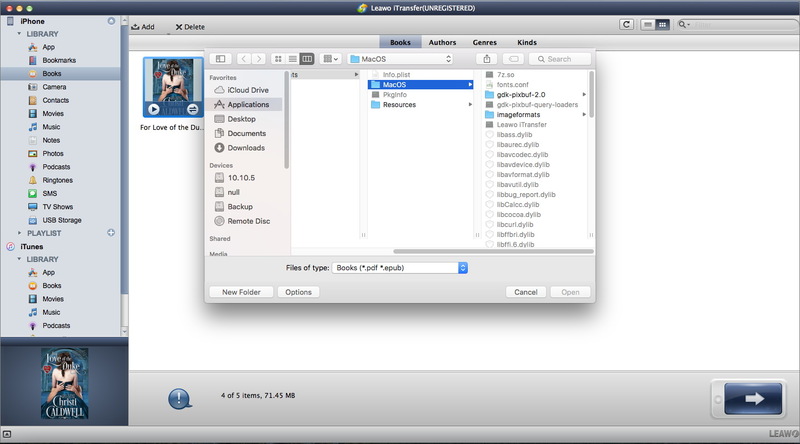 On Mac computer, open the iBooks app. Go to Preferences (from the menu) and click on General tab. Then, check Sync bookmarks, highlights and collections across devices. If you want to sync books from iTunes, open iBooks on Mac, open File menu, and then click Move books from iTunes… option. Connect iPad to Mac computer and launch iTunes on your Mac computer. Make sure iBooks is installed on your iPad. Click the iPad icon on iTunes. Navigate to "Summary > Books" tab. Check "Sync Books" option and then choose whether to sync all books or only selected books. After you have selected what to sync, click the "Apply" button at the bottom right corner to start syncing iBooks from Mac to iPad within iTunes. After syncing, the books synced from Mac iTunes would be displayed on iBooks on your iPad. You could then freely read the books within iBooks on iPad on the go. Still, you have a 3rd option to help you solve how to transfer iBooks from Mac to iPad. 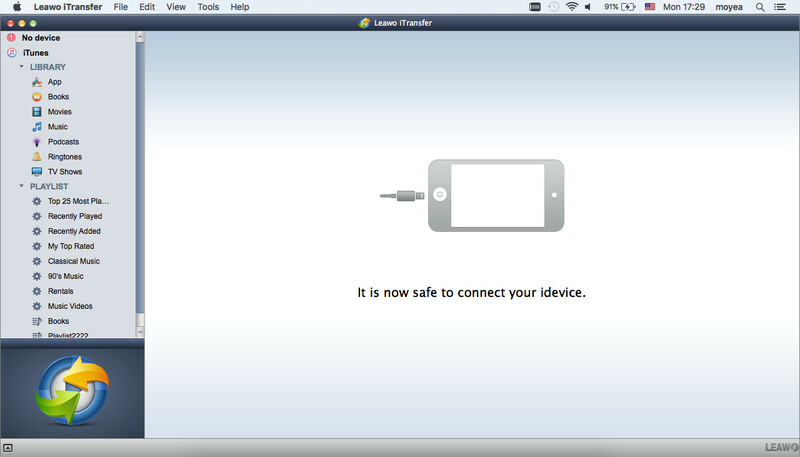 That’s to make use of Mac iPad data transfer software. Leawo iTransfer for Mac is one of the top-rated Mac iOS data transfer software tools to help you transfer iBooks from Mac to iPad in clicks. As a professional iOS data and file transfer app, Leawo iTransfer for Mac supports up to 14 types of data and files between iOS devices (iPhone, iPad and iPod), iTunes and Mac computer. With this Mac iPad data transfer software, you could easily transfer movies from Macbook to iPad, as well as iMac to iPad. Download and install this iTransfer on your Mac computer. Follow the below guide to learn how to transfer iBooks from Mac to iPad with Leawo iTransfer for Mac (here we take iPhone 6 to replace iPad). Successively open "iPad > LIBRARY > Books" tab. You could then view all movies on your iPad. On the right panel, you could click the "Add" button to choose either "Add File" or "Add Folder" button to browse and add books from Mac to iPad. In this way, if you want to transfer iBooks from Mac to iPad, you need to know the folder that stores books downloaded in iBooks and then add the folder into iPad within iTransfer. 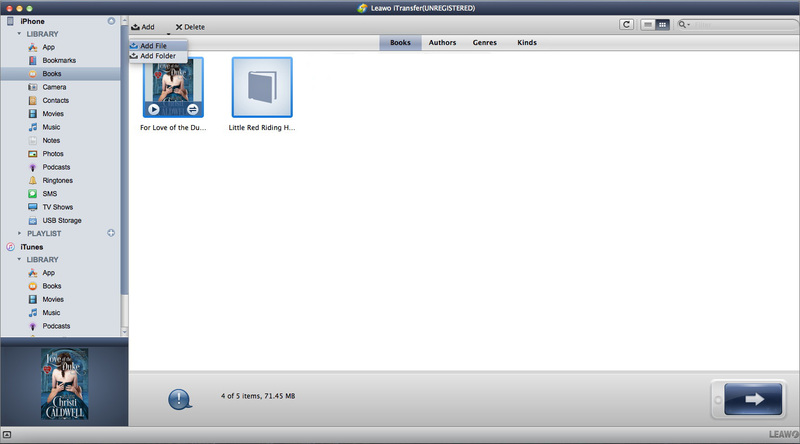 Actually, with iTransfer for Mac, you could also transfer books from iTunes to iPad on Mac. Go to "iTunes > LIBRARY > Books" tab, choose books to transfer, right click to choose "Transfer to", and then select iPad as target.